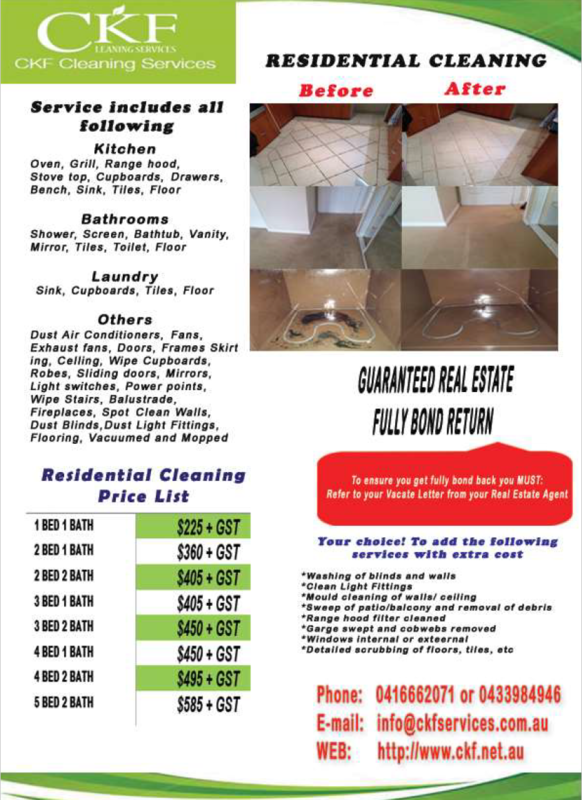 PERTH, Australia, November 22, 2017	(Newswire.com) - CKF Perth end of Lease Cleaning service offers 100% bond back vacate cleaning service plus 20 percent discount off customer’s original cleaning quotation to all customers who provide feedback on Google Business Page. 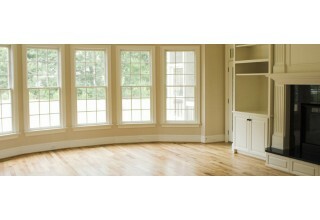 The Perth Vacate Cleaners offers one simple rate and no hidden cost. Their rate is $38.5 per hour per cleaner. Minimum job starts from $154 only. Are you looking for Perth Bond Cleaners? All CKF cleaners have police clearance and full insurance coverage. CKF can tailor cleaning service that suits your need. After each cleaning service, CKF provides full property condition reports with details of all work performed and areas that need special condition. Should there be any outstanding item spotted, CKF vacate cleaners will go back to the property and rectify all the issue. There is a 100% Bond Back Guarantee. 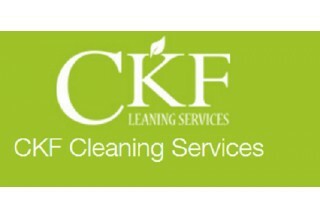 CKF welcomes your booking and any questions related to end of lease cleaning requirements. While you can book our service directly, you are more than welcome to inquire about our service. 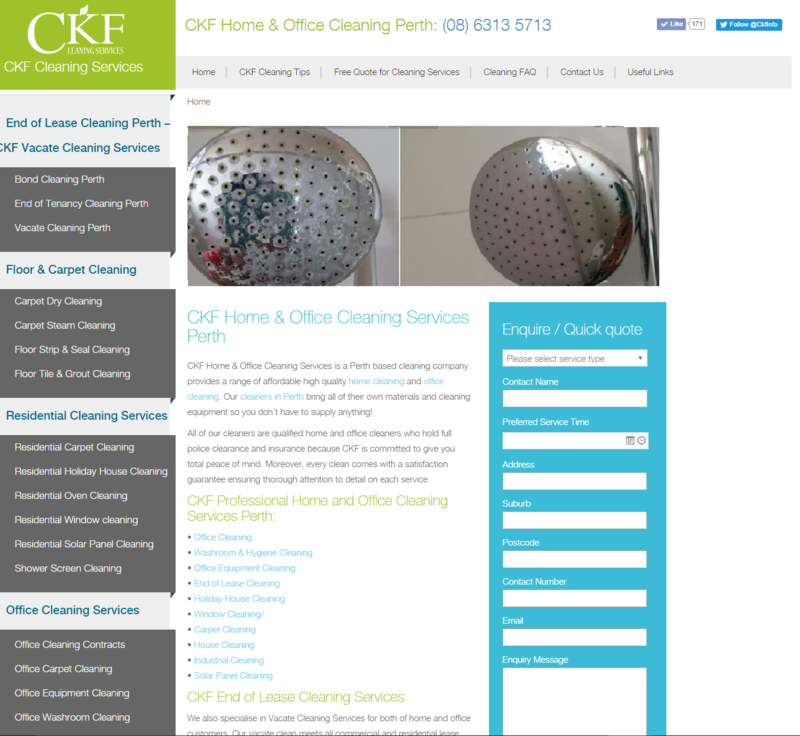 Visit CKF Cleaning Services Perth's website — http://ckf.net.au or call us on (08) 63166058. Carpet Cleaning in Perth: Steam or Dry Clean?